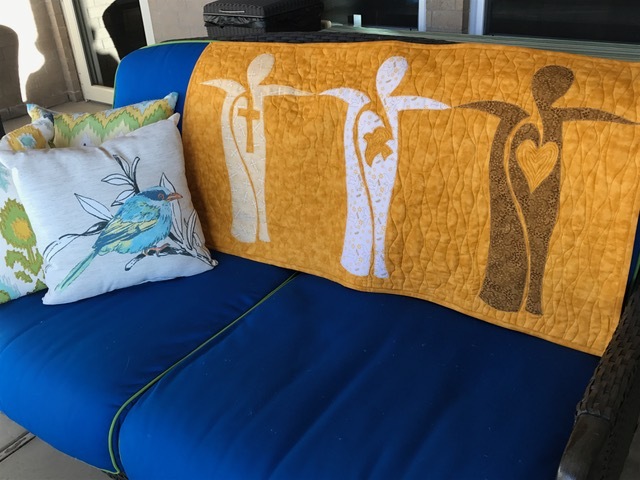 OKC Modern Quilters: January Finishes Flaunted! Our members were able to finish up some great work this month, getting the year off to a great start. 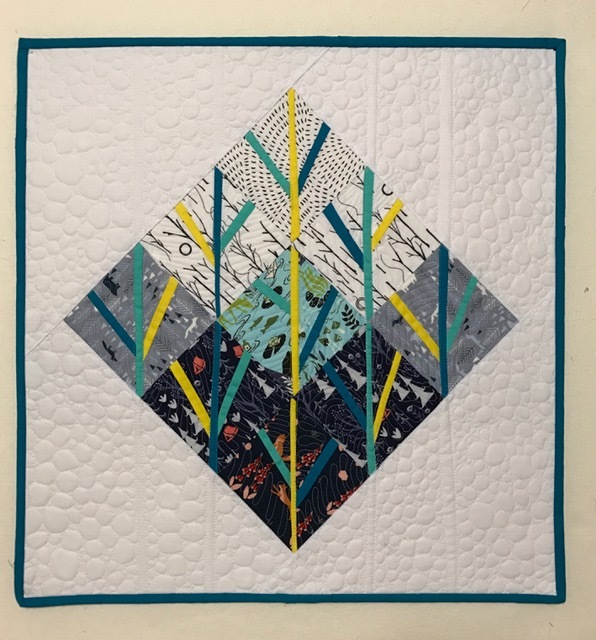 Becca finished this gorgeous mini for the Modern Quilt Guild Swap. Her partner is so lucky! Here is a great look at the iPad case/bag that Jennifer made for her sister in law. She even designed it, herself! What great work! Debbie made this beautiful piece for her daughter to take to a Walk to Emmaus Church Retreat this spring. Such wonderful work- thank you for sharing! Can't wait to see what else this year brings! Wow,these projects are just fantastic.Congrats to all the ladies!